With tax filing season in the United States well underway, scammers who specialize in tax refund fraud have a new trick up their sleeves: Spoofing emails from a target organization’s CEO, asking human resources and accounting departments for employee W-2 information. Turns out, KnowBe4 just hired a new chief financial officer. The controller answered that she didn’t have access to that information, but that the new CFO could help. Sjourwerman said an analysis of the email headers showed the phishers used someone’s GoDaddy email server and the return address was not associated with the company. Fraudsters who perpetrate tax refund fraud prize W-2 information because it contains virtually all of the data one would need to fraudulently file someone’s taxes and request a large refund in their name. Indeed, scam artists involved in refund fraud stole W-2 information on more than 330,000 people last year directly from the Web site of the Internal Revenue Service (IRS). Scammers last year also massively phished online payroll management account credentials used by corporate HR professionals. This entry was posted on Wednesday, February 24th, 2016 at 12:39 pm	and is filed under Latest Warnings, Tax Refund Fraud, The Coming Storm. You can follow any comments to this entry through the RSS 2.0 feed. Both comments and pings are currently closed. We constantly get people trying to spoof an email from our CEO and send it to our CFO asking for a wire transfer. Unknown to them his email is different than what they are trying to spoof. It has gone down quite a bit since we set up SPF and DKIM on our domain. They now result to misspellings of our email domain. And you can add DMARC.org to your domain for added protection. I second what Franck is saying. 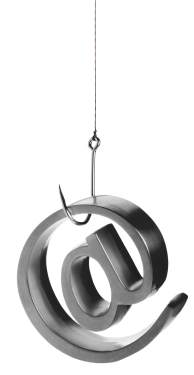 SPF and DKIM alone will not protect you from these phishing attacks. DMARC at p=reject or quarantine will. “You can send it as an attachment.” Red flag right there. I think “kindly”, unless this is vernacular the spoofed person readily uses, is red flag also. Watch out: once these scammers start to correct their grammar and punctuation they will be much harder to catch. The Soviets bugged American typewriters and that was over 30 years ago. I’m pretty sure it’s much easier with today’s COTS tech and even more effective if you do a custom job. Kindly is a pretty common alternative for “please” in parts of the U.S. So depending which flavor of American English you speak, it may or may not be considered an error in informal conversation. So, I suppose we can assume that the domain in the email is not knowbe4.com, but rather something like knowbe4.mobi ? The text in the image is truncated, so we can’t see. The screenshot has the CEO’s real address as the sender (From), but the email probably has a different Reply-To address. I’m sorry for commenting on a different article, but it looks like comments are closed on that article. I’m referring to: Dec 15, 2015: Don’t be a victim of tax refund fraud in ’16. Brian: I think you should update that article. You suggest in that article that people file a 14039 and also get an IP PIN. As Reg Swiles notes in his comment on Jan 12, 2016 not everyone can get an IP PIN. Looks like all I can do is file a 14039. I got caught up in both of the OPM data breaches. Yes, you can apply for one, but the IRS is for some reason picky about to whom they issue those PINs. Point is, you won’t know unless you apply. That seems very clear to me. I’m not eligible. There are 2 ways to fill out the 14039 form, you may already know this. 1) if you have experienced ID Theft issues which MAY affect your taxes, and 2) you have ID Theft issues and they HAVE affected your taxes. Then, with the police report that addresses the IRS tax indications, Notarized FTC Affidavit, and any other applicable documentation, etc., you most likely will receive the IP PIN. They do investigation on their side to support your application. Thank you, Sarah. I understand. Interesting that this example comes from a company that specializes in security awareness training. I get the value and timeliness of targeting tax information, but has anyone heard of other examples of ceo-fraud/business email compromise that targeted W2 or tax info? Is there also a company that specializes in HIPAA compliance hit by spearphishing targeting preceding year FSA transactions? Is there a company specializing in PCI compliance that can write a note about being spearphished for employee credit card details? Maybe my spidey senses are too finely tuned? I am in manufacturing and my company was recently targeted in this very same scam. Not only did they ask for the W2’s, but they continued to follow up and get more assertive when they did not get a reply to their original request. I had an employee of a client receive two similar messages, marked as spam both times: Dec.2015 and Feb.2016. Both originated from a US connection, then received from a GoDaddy server in Singapore – both times. Here’s the kicker: the reply-to address was ceopresdent@yahoo.com – both times! Hello! I forwarded both to Yahoo’s abuse department, but never heard back. Good luck. I’ve had a couple of determined attacks going on for a couple years now from @yahoo.com and @gmail.com addresses. Every time a message comes in I report them to their host. Some of the messages are full of racist rhetoric, sometimes they’re polite, sometimes they’re official, but every time they include an attachment that contains a payload they’re trying to entice people to click on. The amazing thing is that everyone’s to: and cc: addresses are visible so I know they’re being received by state and local governments, educational institutions, even police departments. Yet Yahoo & Google do nothing. Years of reports. No action. After a couple dozen racist hate speech messages, which are clearly a violation of both company’s stated TOS, I’m pretty damn sure they’re both asleep at the switch. Bottom line is know the people that you deal with inside and outside of your business. trust no one! All men are men, all women are men, all children are FBI agents, and all email requests for sensitive employee information any time of the year come from criminals. You’re not obligated to send anyone anything they ask for until they prove themselves worthy, even if it’s from the CEO, CIO, CTO, and / or any other 3 letter 3 piece suit that asks for something like this to be sent over a network connection. if they’re asking for something like this, then they really don’t know anything about todays internet connected world and need to be called on the carpet for that. that’s a total lack of a secure mindset. And if someone should be fired or laid off because of refusing to do so, then that’s not a company that you should be working for in the first place, or you can just litigate that fact to them and bring their total lack of securing employee as well as and more than likely their entire customer base as well as their Share Holders. that should open their eyes to the gravity of the current trend over the past few years we’ve been having these issues with this type of criminal internet / intercontinental activity. Then again, maybe they need to be out of business! I received the following phishing attempt about two weeks ago. It was specifically targeted at employees of the university where I work. The details were convincing and I’m sure that some clicked the link, which attempted to mimic a real link for our campus domain. Our records indicate that you are enrolled in the University Of [STATE] electronic W-2 Program. As a result, you do not receive a paper W-2 by mail but instead receive e-mail notification that your online W-2 (i.e. “electronic W-2”) is prepared and ready for viewing. If you have trouble logging in to Employee Self Service at the link above, please contact your Payroll Department for support. If you would like to un-enroll in the electronic W-2 Program, please log on to Employee Self Service at the link above and go to the W-2 Delivery Choice webpage and follow the instructions. The timing on this post is superb…my CEO was just impersonated in a message to the head of HR with this exact same scam. The reply-to is an aol address. Good stuff as always, Brian. An HR Manager at my company received this exact same email. I am a member of InfraGard (FBI) and have sent them the source details. Good to know I’m not the only one taking notice. CEO’s don’t look at W-2 forms, a reasonable Department Head would double check the request because its strange and likely misunderstood. If a CEO has a problem with an individual its one copy, they aren’t Accounting Clerks. I don’t know any CEO’s looking at W-2’s. Does this security company have a link to headers and email? It sounds fishy, that they just got fished after their new employee just went through training. Maybe it is the pessist in me, but it feels more like a good story to sell training as tax season hits. Great timing as I just went through this exact scenario. Sounds like this may be a campaign against Google for Business with a GoDaddy compromised email account. Any merit in those details? I always worry who, exactly, and how often, is minding the farm (godaddy, various linux repos and kernel bits, sourceforge, etc.) that we rely upon nowadays. They didn’t catch the “sophisticated attack” in time. Maybe the same perpetrators as the MO is exactly the same. Does anyone know if popular email servers (exchange etc.) and/or gmail can ‘ban’ reply-to ? That would be some kind of simple-but-effective defence, and, from my experience, corporate users don’t really use reply-to. It’s probably not a good idea to prevent *senders* from using Reply-To headers. Many mailing-list packages require the use of Reply-To so that replies go to the original poster and not to the entire list if that is desired. However, I think it should be possible to filter *incoming* messages based on all their headers, such that messages meeting certain criteria including the use of Reply-To get flagged or dropped on the floor based on policy. I am surprised that a company that trains others in security allows spoofed emails from outside the perimeter. My company only allows emails with our SMTP address from whitelisted IPs. This was due to, as we’re reading here, a barrage of phishing attacks using our CEO and CFOs email addresses. We use (and require) a company LOGO in our email signature as part of security recognition (though our mobile message system doesn’t support that standard 🙁 ). The message here is train, train, train your end users. You can implement all the technology you want but the weakest link is between the chair and the keyboard. everything in an email is text, including the header where the reply to and received from fields are, and can be edited and should be considered a lie. only the last ip address can be trusted. google and yahoo can’t do anything about that. We just got these. End user responded. Then realized after she sent a message saying she is out of town. We played along. I want you to send me the list of W-2 copy of employees wage and tax statement for 2015, I need them in PDF file type, you can send it as an attachment. Kindly prepare the lists and email them to me. asap. This attempt was thwarted by an atmosphere of skepticism which is imperative and only comes out of ongoing training and awareness. EVERY organization should elevate the importance of this kind of discussion. Was this incident reported to the FBI even though the breach was avoided?